Liverpool-bound Naby Keita is expected to face Marseille in Thursday’s Europa League quarter-final, second-leg, despite limping off against in the Bundesliga. “Thankfully, it’s just a hip bruise, so hopefully there is no threat for Thursday,” said Leipzig’s relieved coach Ralph Hasenhuettl on Tuesday. Keita, who will join Jurgen Klopp’s Liverpool next season, came off late in Leipzig’s 4-1 loss to Leverkusen on Monday. 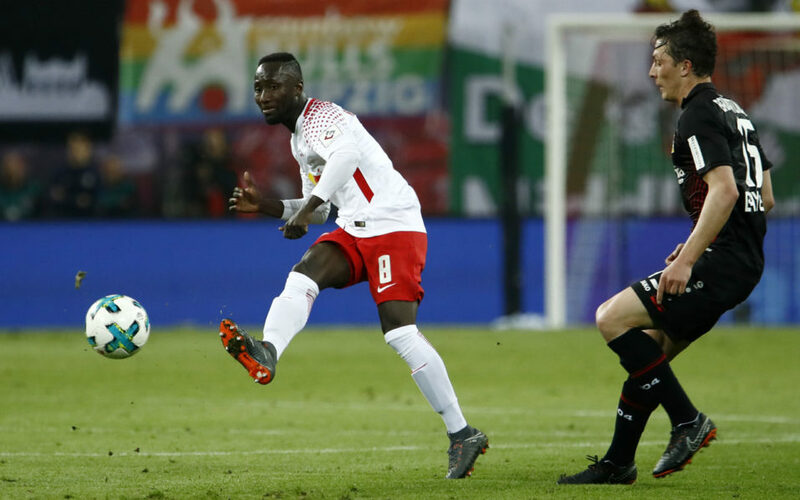 Keita, a defensive midfielder, collided with Leverkusen’s goalkeeper Bernd Leno in the 74th minute at the Red Bull Arena and went off soon after. Leipzig will fly to Marseille for a place in the semi-finals holding a slender 1-0 lead after Germany striker Timo Werner scored the only goal in last week’s first leg. Liverpool are expected to pay 70 million euros ($86.5m), including bonuses, for the Guinea midfielder, who has consistently been Leipzig’s midfield engine. He has scored five goals and provided five assists in 23 league appearances this season.